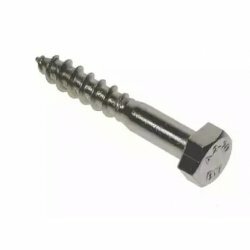 Coach screws are used widely in heavier timber installations and for fixing timber to masonry. Also popular as a fixing for satellite dish installation together with a rimmed or rimless wall plug. Single thread screws have been designed to offer higher pull out values and quicker insertion.